In this Corporate Finance Master Class (CFMC) program, corporate finance professionals and senior managers alike gain a solid and entirely practical experience in corporate finance, enabling them to understand the financial factors that influence business strategy. Simulation-based decisions whether to invest in growth or cash-flow improvement opportunities will be assessed. In a role-play challenge will also be discussed comparing valuation methods, understanding mergers and acquisitions strategies, selecting target companies, understanding value creation in an M&A transactions. Major topics to be covered include: capital budgeting, business valuation, financial modelling, managing working capital and growth, mergers and acquisitions. Entrepreneurs and company owners who plan to attract funding for their growing business. Learn more from the Corporate Finance Master Class brochure here. Corporate Finance Master Class starts on 17 October. The program includes four modules of two sessions each. The training sessions are from 15:30 to 20:30 and will be held at The Business Institute, Sofia, 23 A Joliot Curie Str. If you are interested in the whole Master Class or single module click here or contact us on: +359 88 2924710, office@thebusinessinstitute.eu. The applied Harvard Business Publishing business simulations challenge the CFMC participants to analyze available information and make critical decisions to solve various financial cases and challenges. They are playing a role, not just reading and analyzing. They make decisions and see the results of their decisions in the response of other players and the outcome of the simulation. Through a comprehensive debrief sessions they will analyze and discuss the achieved results – assumptions, pros and cons of the applied decisions, and most importantly – the real business life implications. Understanding value creation in an M&A transaction. An integrated, holistic approach – understanding how financial decisions influence company performance and market position, and vice versa. In this module - including a complementing case study and online business simulation - participants act as members of the Capital Committee of New Heritage Doll Company, tasked with selecting and allocating capitals across the company's three divisions. Participants evaluate a diverse set of competing investment proposals and make decisions regarding 27 separate proposals over a five-year period. Participants confront a range of project types including investments, expansion investments, investments in mutually exclusive projects, interdependent projects, and projects with growth options. To evaluate them, students examine outlays, cash flow patterns, and common metrics such as NPV, IRR, and Payback, with or without capital constraints. This module is based on "The New Heritage Doll Company: Capital Budgeting" case study by Harvard Business School and Harvard Business Publishing's online simulation "Finance Simulation: Capital Budgeting". Business Valuation module distils the fundamentals of valuation and develops models that participants can understand easily and use quickly. In the learning process, the module will illustrate and practice the tools to not only value a company quickly but also to critically review valuations done by others. In this module, we lay out the ingredients of an intrinsic valuation model: cash flows, discount rates and growth. In particulat, we note the importance of being consistent in the assumptions and note that higher growth can add value or even sometimes destroy value. The discussed valuation approaches are adapted for companies through their life cycle and illustrated how they might vary across sectors. This module is based on the the teaching content from "Damodaran Online" - Aswath Damodaran, Stern School of Business at New York University. This module teaches the participants how to construct an integrated financial model - from scratch! They will be able to build models that are robust, provide them with dynamic projections that can be used to thoroughly analyze a company from multiple standpoints: operations, investment, financing and valuation. The module begins with an in-depth tour in Excel environment and includes many helpful shortcuts and tips for mastering the functions in Excel. Module topics are presented in a highly interactive format with narrated animations and self -correcting exercises designed to engage participants in the learning process. Microsoft Excel worksheets are included to assist participants as they work towards mastering the subject matter. In this module, based on a simulation, participants act as the CEO of a nutraceuticals distribution company and decide whether to invest in growth and cash-flow improvement opportunities in three phases over 10 simulated years. Each opportunity has a unique financial profile and participants must analyze effects on working capital. The company operates on thin margins with a constrained cash position and limited available credit. Participants must optimize use of "internal" and external credits as they balance the desire for growth with the need for maintaining liquidity. This module is based on the Harvard Business Publishing’s online simulation “Working Capital Simulation: Managing Growth”. Associate Facilitator at The Business Institute. 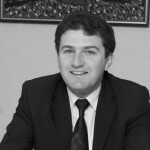 Boryana has more than 20 years of experience in financial management and management consulting. For 8 years she has worked at Arthur Andersen where she has led the various assurance and business advisory projects. 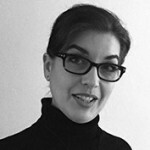 At present, Boryana runs her own consulting company and enjoys sharing her knowledge and experience. She has a focused, practical approach and a vast collection of real-life business cases to discuss. Associate Facilitator at The Business Institute. Goergi is a seasoned corporate finance professional with over 13 years of experience. Participated in investment, corporate finance and M&A projects in diverse industries with a total volume exceeding EUR 1 billion. He has gained an extensive financial advisory experience in diverse sector assignments - varying from FMCG, real estate and financial services to telecommunications, media, agriculture and healthcare. 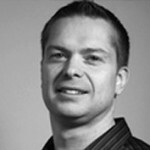 Georgi has a master degree in accounting and ACCA qualification. 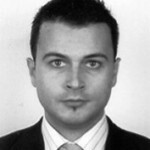 Iliya has more than 10 years of experience in the financial sector. He currently works as Associate Banker in the Infrastructure Department of the European Bank for Reconstruction and Development and is responsible for designing, structuring, implementing and monitoring innovative financing structures for the urban infrastructure sector. 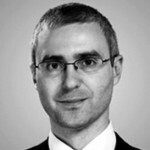 Iliya has previously worked in the corporate finance department of KPMG and has advised clients from a variety of sectors on topics related to M&A, corporate restructurings and business strategy. With more than 10 years experience in the financial advisory sector, Nikolay has participated in and managed a large number of projects related to valuations, financial modeling, project finance, corporate financing, restructurings, economic analyses, due diligence and M&A. He was Director at Ernst&Young. His corporate finance experience spans over a variety of sectors - from energy and utilities, gas and oil, infrastructure, heavy industry, construction and real estate to retail the wholesale, food and beverage, financial institutions, telecommunications and media. Plurilingual professional with more than 15 years of experience in corporate management, private equity and advisory. Specific financial management, reporting, due diligence, valuation, financial modeling, strategy formulation and execution skills. More than $3 billion in cross-border transaction and pitch experience in energy, telecommunications, manufacturing and financial services. Experience in senior management positions at client-oriented manufacturing, construction and service companies. 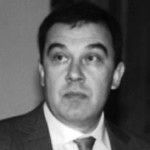 Vladimir has more than 25 years experience in banking, project and corporate finance. He is Country Officer for International Finance Corporation (IFC). As part of the largest global development institution focused on the private sector in developing countries, he has participated in most of the biggest corporate finance projects in Bulgaria as well as in the region of the past 15 year. 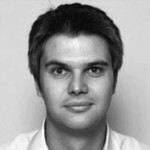 Before joining IFC, Vladimir has held several senior positions within the banking sector. Scroll down for the conditions for whole and single module registration. The price is for 1 module. All prices in this section are valid for 1 participant. The Business Institute has the right to give a discount on the Corporate Management Master Class fee in case there are 2 or more participants from the same company.